If 2019 is the year you tie the knot, then it’s officially your year, so congratulations, hello, and welcome to wedding season! Whether its a Spring, Summer, Autumn or Winter wedding, chances are the plans are in full swing now. The venue is booked, invites are ordered, seating plans are being drawn up, so now it’s time to talk outfits. As the groom or member of the wedding party, the right tie goes a long way, but how do you choose the perfect wedding tie? If traditional pastel colours aren’t your thing then don’t worry, there are so many more colour options to explore, and of course, we are here to help. 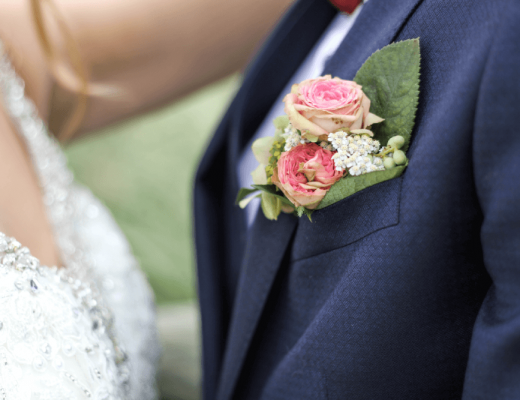 2019 weddings are set to be more colourful than ever with the choice of bold prints and bright colours becoming more and more popular. Be the wedding party that everyone remembers for their stand out style and go for something adventurous, after all, there are no rules when it comes to wedding ties. Whether you want to compliment or clash, you can’t go wrong with an explosion of colour. Pillar box red, cadbury purple, royal blue, emerald green and burnt orange are just some of our favourites and undoubtedly eye-catching. That is the question. You may have a colour scheme agreed, and the bridesmaids dresses picked out, but who says the ties have to match? While some couples like the idea of the same colour throughout, others like to mix it up and opt for a total clash of colours. Either way, the choice is yours. Keep things simple with similar tones such as blues and greens or pinks and purples or go all out with a total contrast such as pink and green or blue and orange, but don’t be afraid to introduce another colour. So, if you think your wedding party deserves more than the ‘matchy-matchy’ salmon pink then be bold, be brave and go for colour. If you are looking for a super sleek finish, then look no further than a plain tie. When teamed with a sharp suit, a plain tie adds depth and definition to your outfit. But don’t worry, a plain tie doesn’t have to be . . . plain. With so many variations available it’s a great way to introduce colour, fabrics and style. Choose from silk, satin or textured to find your perfect match. But if a textured tie just isn’t enough, then a patterned tie is a must. Subtle floral or stand out paisley, a patterned tie gives your wedding party the chance to shine. Perhaps not for the faint-hearted, a patterned tie allows you to show a little personality on your all important day. 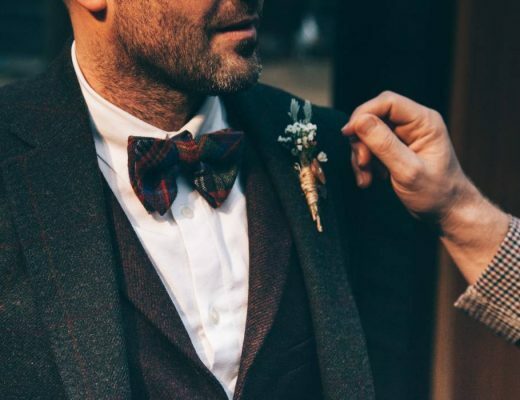 With a heavy influence from period dramas such as Peaky Blinders, it’s no surprise that tweed has made a massive come back when it comes to wedding attire. Whether it’s a full suit or a nod to your inner Shelby with a tweed tie, this look is here to stay. Tweed adds an air of sophistication, making it a great choice for any member of the wedding party. Its earthy tones make it easy to style with many colour suits including blue, brown or grey. Then for a further country vibe, why not add a feather brooch and pocket watch for the ultimate style combination. While we are seeing many new trends for 2019, you still can’t beat tradition for some, with the ever-popular cravat being top of this list. Available in a choice of colours to suit any chosen theme, our selection of cravats are hand made from the most beautiful satin, adding a luxurious feel to your outfit, perfect for the big day. Plain, patterned, floral or paisley, we have the cravat for you. Now that we’ve talked about the wedding party, let’s talk about choosing a wedding tie as a guest. You may have picked up the colour scheme from the invite but of course, you are under no obligation to follow it, so let the wedding tie hunt commence! We all know that a wedding is a great opportunity to get dressed up so why not go all out. As the guest, you have the advantage of being as flamboyant or as modest as you like. Bring some fun to the party with a polka dot. Let the tie do the talking with a pattern, or up the ante with a tie and pocket square combination, either way, your tie just upped its game.